Reduce your costs and increase the speed of delivery by outsourcing your HIPAA compliant mailings to PostalMethods. 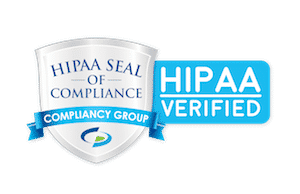 We are a full service mail house with over 20 years experience providing HIPAA compliant print and letter mailing services to healthcare providers, hospitals, medical practices, insurance agencies and government agencies nationwide. PostalMethods and its entire staff are in full compliance with all Federal HIPAA Privacy Regulations. Our quality assurance process ensures that electronic and printed data remains secure throughout all print and mail operations. PostalMethods is your trusted, secure source for printing and mailing. We are one of the largest mail houses in Texas delivering over 41.5 million mail pieces last year. We partner with the United States Postal Service to provide our customers with time-efficient and cost-effective solutions for delivery of letter, flat and parcel mail distribution. PostalMethods is committed to the highest standards of integrity, excellence and performance. We are dedicated to customer satisfaction. No matter what the challenge is, our team of professionals will find a way to get it done! We realize that you have a choice in today’s competitive mail environment, but with PostalMethods you can rest assure that we are committed to your needs.